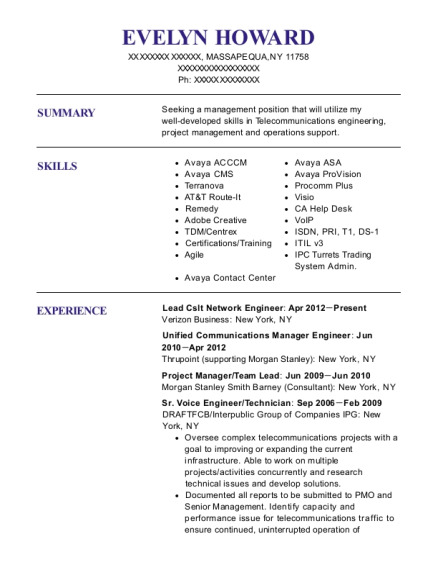 Reliable Network Engineer with eight years of experience in telecommunications. Core competencies include [Skill 1], [Skill 2] and [Skill 3] as well as excellent communication and time management skills. Handles tasks with accuracy and efficiency. Design, organize, and deliver product awareness, skills transfer, or product training sessions for staff. Repairing and installing network equipment including; ATMs, routers, switches and point of sales systems. Working with customers to meet installation deadlines. 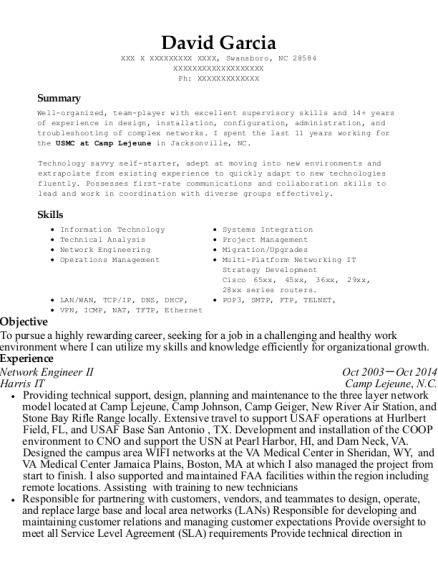 This is a resume for a Network Engineer in Bangor, Maine with experience working for such companies as Oxford Network and National Cash Register. 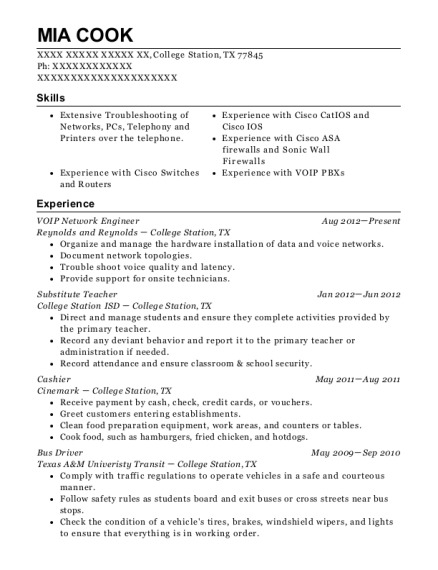 The grade for this resume is 0 and is one of hundreds of Network Engineer resumes available on our site for free. 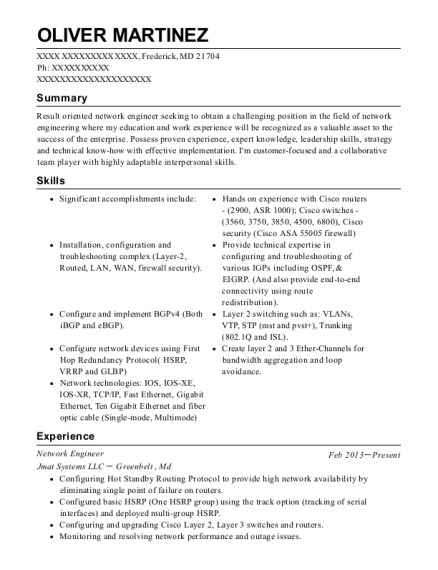 Use these resumes as templates to get help creating the best Network Engineer resume.